Thank you to the folks who generously shared their experiences with me and allowed me to include them in my statement. Also, thank you to FRCMedia News for recording this statement. Please watch this short video, and cast a vote for Crystal Stone for School Committee, on November 7. Thank you to everyone for who held signs! Thanks for having me on your show, Will Flanagan! Marshall is graciously sharing his playroom with campaign signs! It’s hard to believe that two months has passed since I announced my intent to run for School Committee in Fall River. In two months’ time, I’ve met some incredible people: teachers, parents, students, business leaders, elected officials, folks in the media, concerned citizens and more. Thank you all for offering your wisdom and kind words over the past two months. Thank you so much to everyone who has donated to my campaign in many ways. Without your help with childcare, proofreading, brainstorming, sign holdings/locations, door knocking, meet and greets, fundraisers and donating financially, I wouldn’t have gotten through the past two months. I’m genuinely humbled by the amount of support I’ve received from my family and friends, old and new. I also want to thank everyone who’s taken time to get to know me. To those who came to my coffee hours, thanks. To newfound friends who were willing to chat enthusiastically with me about the state of education at the grocery store, or on a Battleship (two incredible, actual occurrences), thank you. To the people who saw the magnets on my car and flagged me down to discuss my letters in the Herald News, seriously, thank you. And to Ian Abreu, City Councilor in New Bedford, MA and the Coalition of Social Justice, your endorsements of my candidacy means the world. Thank you. I’ve learned so much about the Fall River Public Schools over the past two months. I’ve learned a lot about the voters and families that we serve too. Fall River is a good city, with a great deal of passionate, caring citizens who understand the importance of education, and well-rounded children. Today is the preliminary election. Of the 13 candidates running for School Committee, 12 will go on to the general election. I sincerely hope that I have earned your vote, and the votes of your friends and family members. If you’re reading this in the morning, take a moment and think about how and when you will vote today. The polls are open from 7a.m. – 8p.m. For me, I know that it will be easiest to head to the polls right at 7:00 a.m. and vote. I live close to Cardinal Medeiros Towers, which is where I vote, and I can head there before my day begins. Use the link below, if you are unsure of where to vote. If you need transportation, I’m here. Send me a message. I’m more than happy to transport citizens to the polls. If you have questions for me, please reach out. I am available to chat any time today and I want you to go to the polls with your questions fully answered. Again, thank you all for your support. Together, starting with your vote today, we can and will, break barriers and create change in the Fall River Public School System. In just a few weeks, thousands of students will file back into their schools, ready for another academic year. Forty-four percent of these students are minorities. They are African American, Hispanic, Asian, and multiracial. Fall River’s demographics are rapidly changing. Knowing that, let’s look at our School Committee. Surely, 44 percent of our elected local leaders are minorities? Well, actually it’s more like 0 percent. And it’s always been 0 percent. In fact, for the entirety of our city’s history, it has been 0 percent. For a proud Gateway City, Fall River has a historically inequitable leadership problem in our public schools. When considering my candidacy for School Committee, this issue weighed heavy on my conscience. I’m African American, and I grew up in low-income housing. I went through our public education system, and I’ve dedicated my career to helping kids get their lives on the right track through education. Fundamentally, I understand these 44 percent of students more than any School Committee member ever could. Not because they don’t care or don’t try, but because I share their life experiences. Over the past several weeks, I’ve had opportunities to talk with many of the families that make up this 44 percent. The families I have talked to have shared two consistent messages with me. First, they are amazed that someone running for public office came to talk with them face to face. Second, they take serious issue with the first. According to the families I have spoken with, our public education leadership has a problem: They are trying to help minority students not through face-to-face engagement, but through sympathy. They “feel bad” for the 44 percent, and many of the programs that have been developed to help minorities come from sympathy rather than thoughtful, inclusive conversation with those that they seek to help. As a result, many well-intentioned programs struggle or fall flat. Sometimes, these programs cost thousands of dollars and could have been better directed if everyone had a seat at the decision making table. In other words: Historically, our leadership hasn’t exactly been relentless in getting to know the minorities they are trying to help. These families absolutely need a voice on the School Committee and it would be the honor of my life to be that voice. I have been through much of what they have been through, I have struggled and overcame in many of the same ways they have, and if elected I will bridge gaps that exist between the committee and our minority communities. For too long, these students have not only been minorities because of their skin color, they have been minorities in terms of meaningful support. This Sept. 12, and again Nov. 7, we have an opportunity to do something for our minority population that we have never done before in the history of public education in Fall River: We can give them a seat at the table. Let’s break barriers, and create change. Vote for Crystal Stone for School Committee in Fall River, MA. 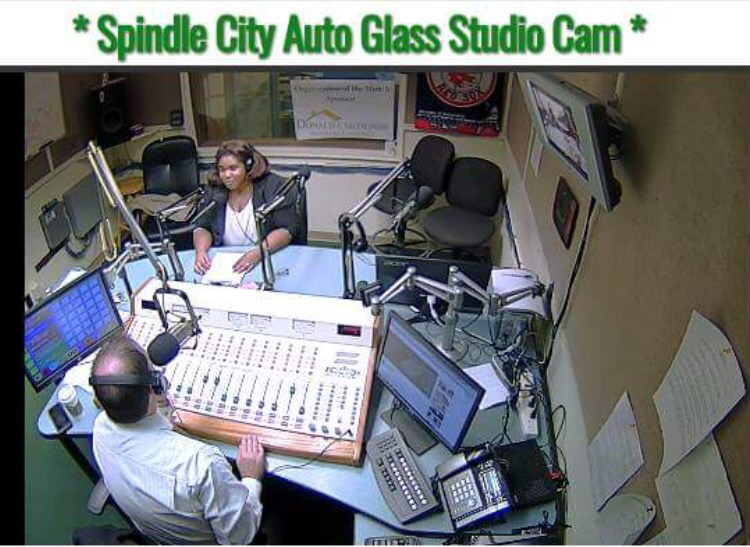 Today I had the pleasure of being interviewed by Attorney Will Flanagan on our local a.m. radio station, 1480 WSAR. Thank you to everyone who listened and took the time to get to know me! If you weren&apos;t able to listen click here to listen to the podcast. The interview starts at minute 17 of the podcast.